Another belter from those guys over at Sunrise Ocean Bender. 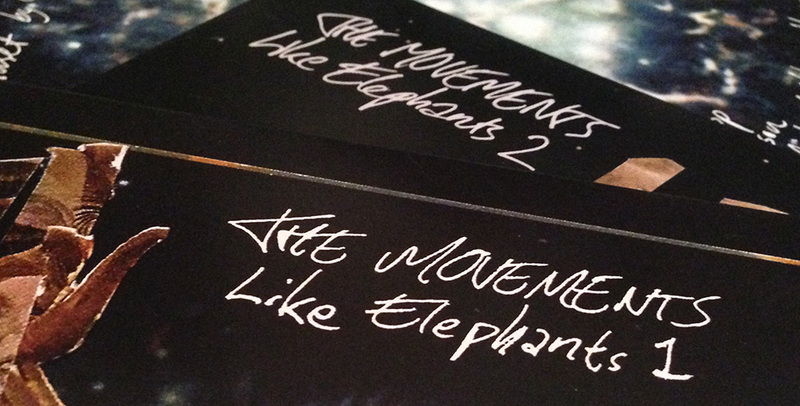 Following on from the awesome E Gone album (see previous post) we have the twofer from The Movements – Like Elephants 1 & 2. At this rate Sunrise Ocean Bender will be THE label on which to be seen! The Movements are a Swedish garage rock/ psych band, but this is garage immersed in seventies California rather than eighties/nineties Detroit. Both albums were released with little time between them and with the titles themselves it smacks a bit of a conceptual project, however, there is no pretension in these records – the tracks are heartfelt and honest and provide a damn good 75 minutes or so listening. When I gave them an initial listen it felt like I was listening to old favourites – those LPs you dig out on a regular basis because they make you feel safe and comfortable. I quickly realised that this is because there are distinct elements of those favourites: one can hear the Byrds in the opening track of Like Elephants 1 (‘The Death Of John Hall D.Y.’), The Doors in ‘Boogin’ and Neil Young and Love…. ad infinitum. This is by no means meant as a criticism – far from it – it means that The Movements have managed to create not one but two LPs of coherent and, musically, very tight psychedelic music; sometimes folksy and sometimes balls out rockin’ (especially in the case of ‘Ingenting Kommer Ur Ingenting’ which reaches a crescendo of guitar and feedback ). If anything Like Elephants 2 is probably the more cohesive of the two LPs – essentially more of the same; same structures and same influences (maybe a tad more Beatles!) but it sounds that in the short time between the two records the band matured a bit, which seems a ridiculous thing to say about a band that have been going since 2001 and have released half a dozen LPs! All in all The Movements have created 2 exceptionally fine LPs that will no doubt figure heavily in the inevitable ‘Best of 2014’ lists. An audio travelogue of some of the best records of the last 40 years or so that still sounds fresh and original. I think I’m going to scrape some pennies together and get these on vinyl because if they sound this good via download, how good are they gonna be on vinyl. Sychophancy time now! 2 releases from Sunrise Ocean Bender and 2 abso-bloody-lutely fantastic , stone cold classics. Steady on guys!